This color combination looks so fresh and it's a new favorite of mine. 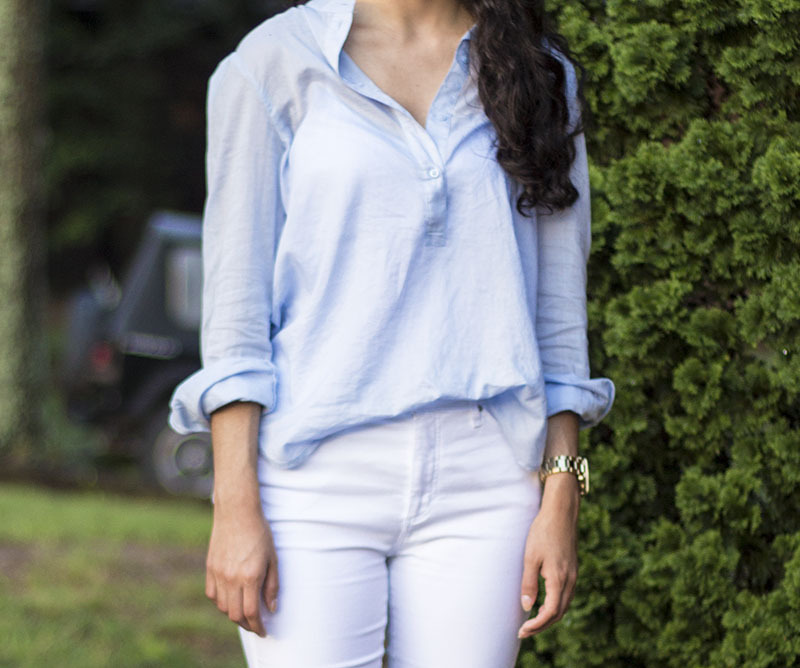 Over the weekend I found this light blue cotton shirt, an item that had been missing from my closet for too long! I wore it with my white jeans - a summer staple for sure! I can't wait to transition them into my fall & winter wardrobe with chunky knits and rich hues! I finished the look with my white converse. I had forgotten all about them ever since I got these sneakers! Is anyone else in love with the color combo?